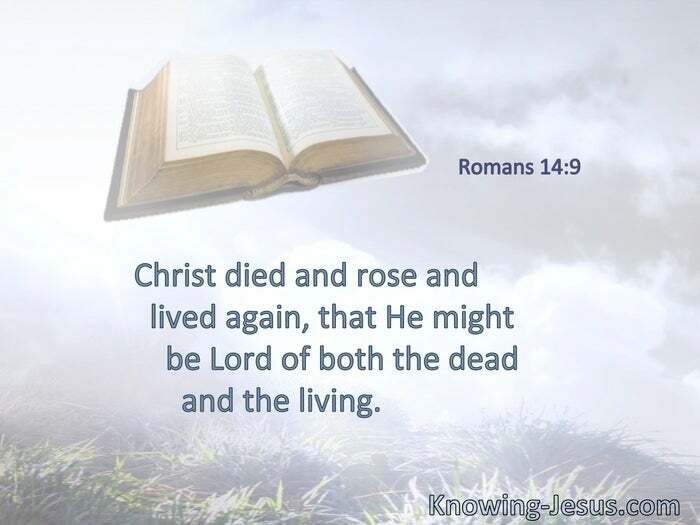 Christ died and rose and lived again, that He might be Lord of both the dead and the living. It pleased the Lord to bruise Him; He has put Him to grief. When You make His soul an offering for sin, He shall see His seed, He shall prolong His days, and the pleasure of the Lord shall prosper in His hand. He shall see the labor of His soul, and be satisfied. 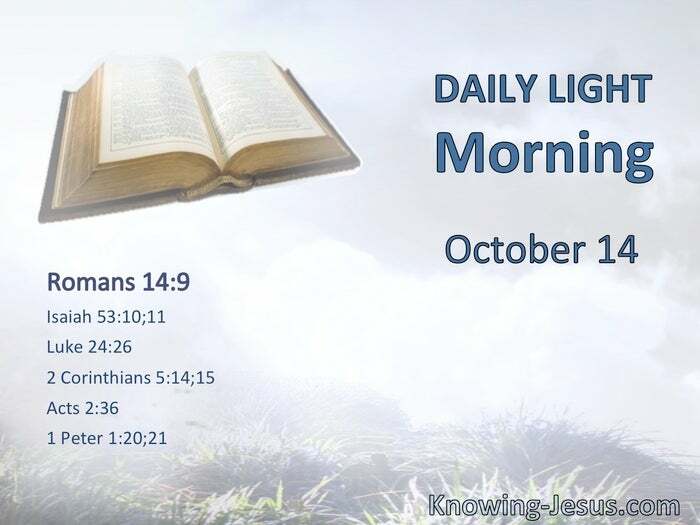 By His knowledge My righteous Servant shall justify many, for He shall bear their iniquities. § Ought not the Christ to have suffered these things and to enter into His glory? § We judge thus: that if One died for all, then all died; and He died for all, that those who live should live no longer for themselves, but for Him who died for them and rose again. Let all the house of Israel know assuredly that God has made this Jesus, whom you crucified, both Lord and Christ. § He indeed was foreordained before the foundation of the world, but was manifest in these last times for you who through Him believe in God.